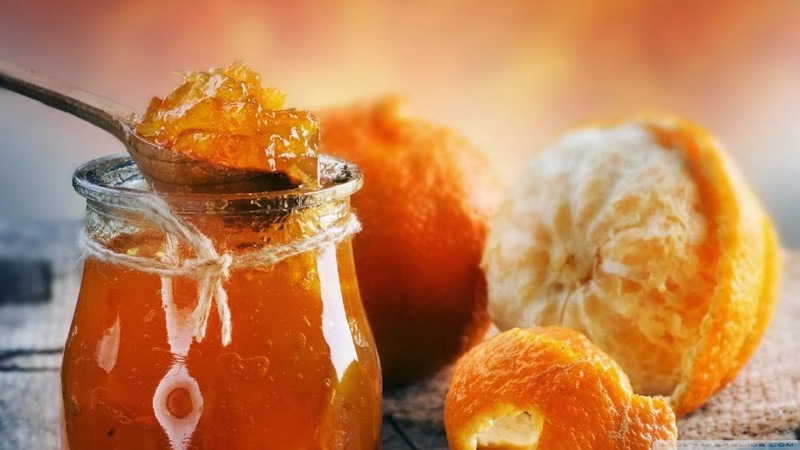 The Chinese celebrates Valentine's Day on the seventh day of the seventh month of the lunar new year. Others celebrate the Valentine's Day on 14 February. You have someone you like and want to take her to a nice, romantic restaurant. Or you want to impress a gal and ask her to be your girlfriend/ fiancée. 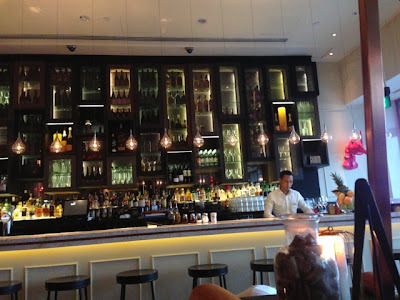 But you are unsure where to take her for a restaurant with good food and nice ambience. Don't fret. Here are some suggestions (not arranged in chronological order) you may want to consider before asking her out. Ruth Chris' Steak House is located at the serene and posh enclave at Marina Mandarin Hotel. Founded in 1965 by Ruth Fertel, there are now more than 120 Ruth Chris' restaurants in the United States, including 12 international franchisee-owned restaurants in numerous countries. It specialises in broiling the finest custom-aged USDA prime beef in its 982.2°C oven to lock in natural flavour and tenderness. Why not give your partner more than just a bouquet of flowers? Pollen is a beautiful restaurant located in the Flower Dome at the Garden by the Bay. The restaurant serves mainly Mediterranean-inspired modern European cuisine. Chef Jason Atherton is the chef director who leads the culinary direction for Pollen. At the end of the romantic meal, why not take your partner to the Flower Dome from the restaurant. Located in The Fullerton Pavilion overlooking at the beautiful Marina Barrage, a contemporary Spanish restaurant, Catalunya serves a menu that reflects the diversity of Spanish cuisine. Catalunya is situated in an unique glass-encased dome floating atop the waters of Marina Barrage. The restaurant is helmed by an international team of award-winning culinary experts from the likes of elBulli, Santi and many more. It's often said that the best way to a loved one's heart is through their stomach. Why not dine at the restaurant by International Celebrity Chef, Wolfgang Johannes Puck? C.U.T. 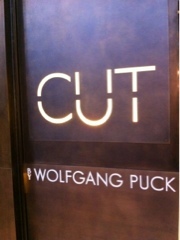 by Wolfgang Puck opened its third location in Singapore at Marina Bay Sands - The Shoppes. It was also its first international restaurant in Asia. Why not have a romantic dinner in the sky? Salt grill's interior, designed by Chanto Design, was captivating. The spacious and high ceiling restaurant provides guests with an indulgent area to not only enjoy their meals but also enjoy the breathtaking panoramic view of Singapore both day and night. 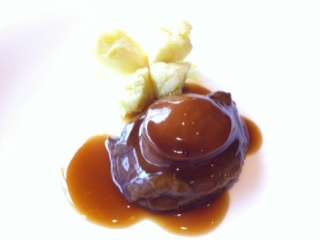 Enclave in the Marina Bay district, Chez Petit Salut is the place to enjoy classic French cuisine. This restaurant have a unique allure that draws you into its comfort gently. DB Bistro Moderne offers an exciting mix of traditional French bistro cooking, together with contemporary American flavours and the world-renowned collection of signature burgers. The ambience at the restaurant was cosy and loud. Tired of having western food on Valentine's Day? Why not try Japanese food at Hide Yamamoto's? 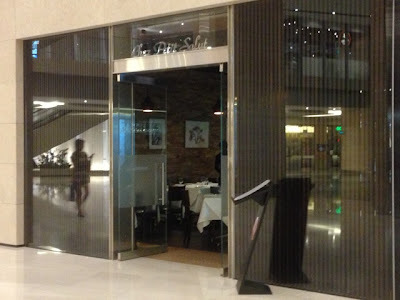 Enclave in the gastronomic paradise of great food, the restaurant was the first and only in Singapore. Opened by the renowned chef himself, Chef Yamamoto was the man behind his namesake - Hide Yamamoto. He had served three generations of US Presidents: Reagan, Bush and Clinton. He has a chain of restaurants under his belt. 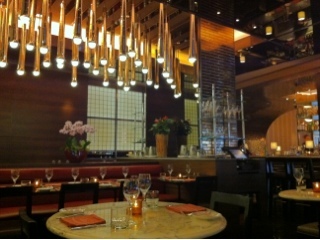 The fine-dining restaurant - Hide Yamamoto offers five concepts, Sushi, Teppanyaki, Robata, Ramen & Dining and Sake Bar. The Pelican Seafood Grill Bar was strategically located along the Marina Bay area at One Fullerton. 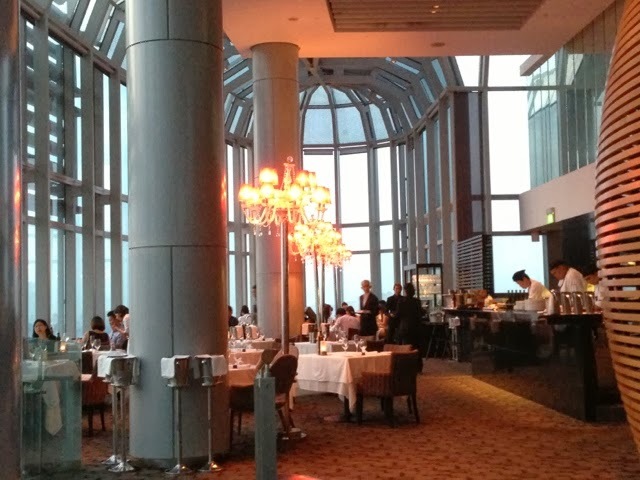 If you were to dine outdoors, you can enjoy the beautiful night skyline. The indoors are equally great with great interiors. You will first be welcomed by wonderful and friendly service staff who will not hesitate to give you recommendations. Why not have the best of both worlds - great service and great view for a romantic Valentine's Day dinner?